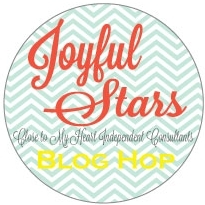 Welcome to Joyful Stars July 2014 Blog Hop! This is a blog hop from Close To My Heart Independent Consultants where we all wanna share with your the projects we created using Close To My Heart products. We are so glad that you are hoping with us today! If you are here arrived from Nickie’s blog that you are on the right track 🙂 but if you are here first, please visit Joyce’s blog and Nickie’s blog to see what’s they have created for you. This time I would like to share with you one layer card sets I made for my recent project for a women blogging conference, Declare Conference in August 2014. 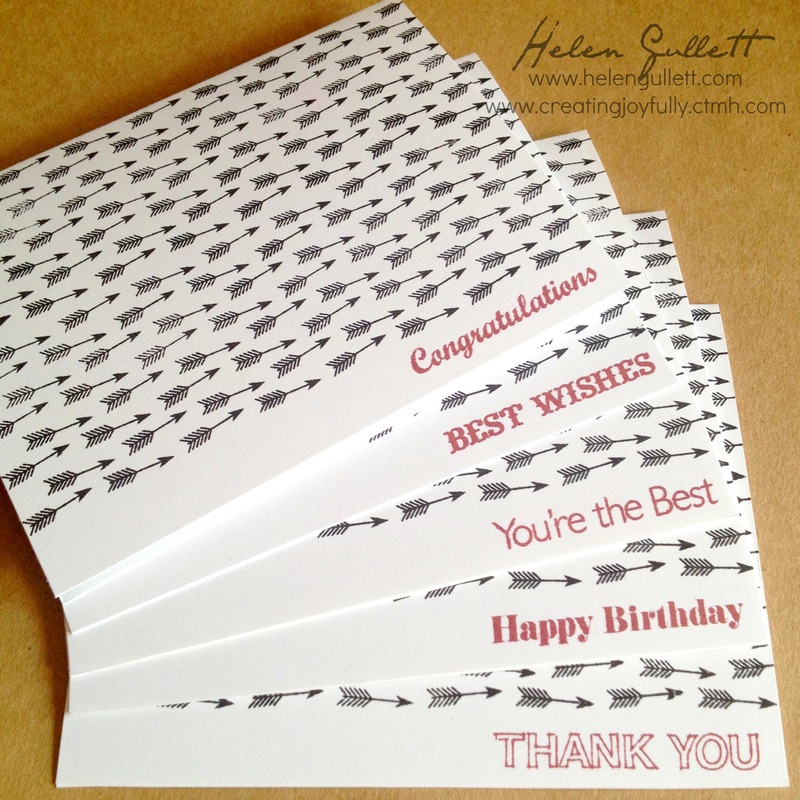 One layer card is a simple technique yet pretty way to create cards that you need in a short time. I have made 7 sets (5 cards a set) and still have to make 18 sets more! 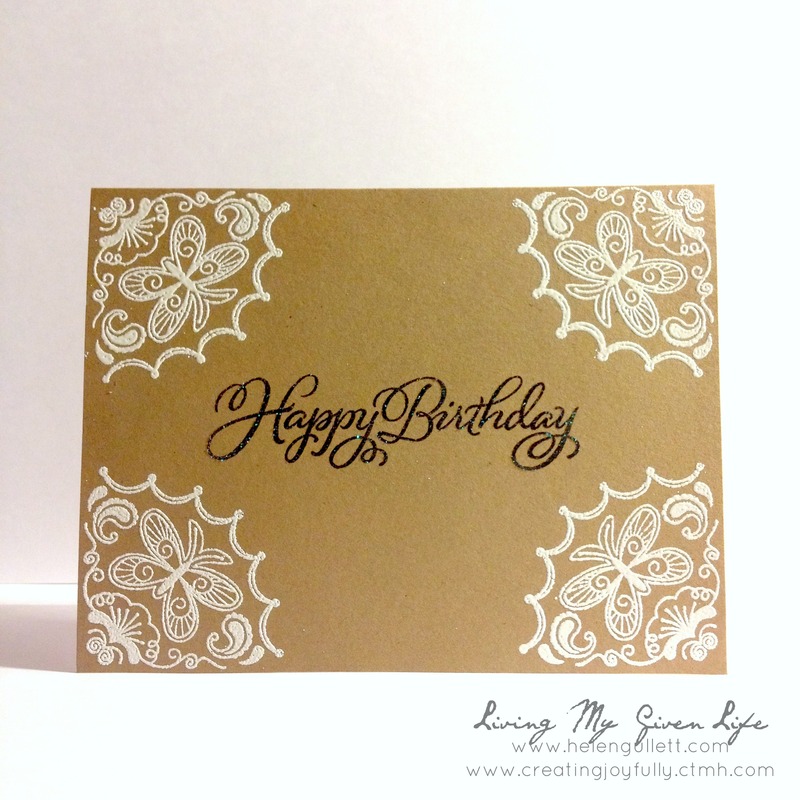 My first card is I create the background with Frame Flair using Black Exclusive Inks Stamp Pad. 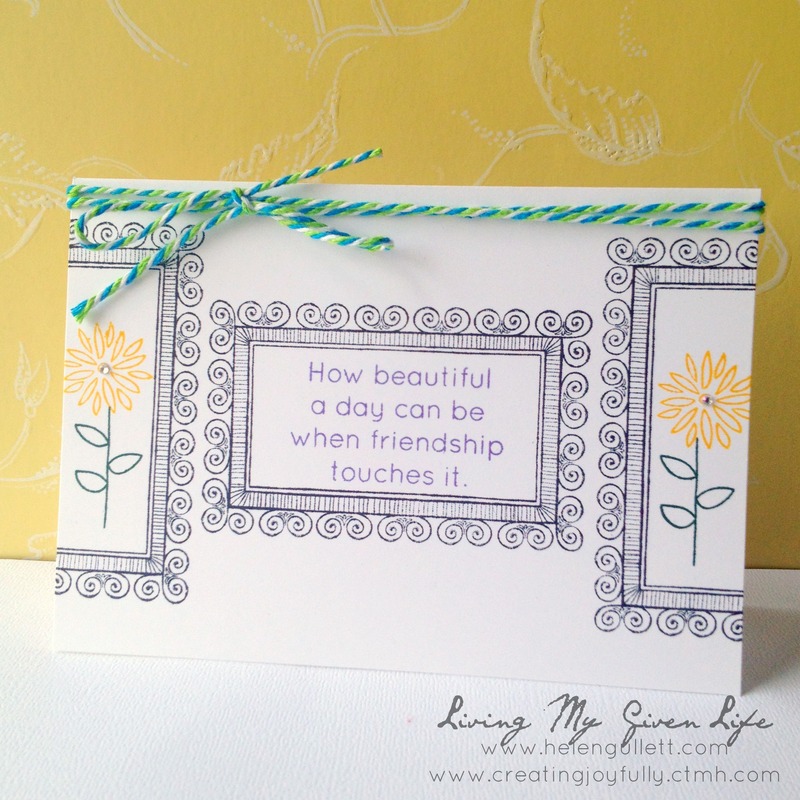 Using Topiary and Honey Exclusive Inks Stamp Pad, I stamped the flowers that from one of the Hostess Rewards stamp set, Enjoy the Little Things, this stamp you can only get special with your hostess rewards from hosting a home gathering (click here for detail). 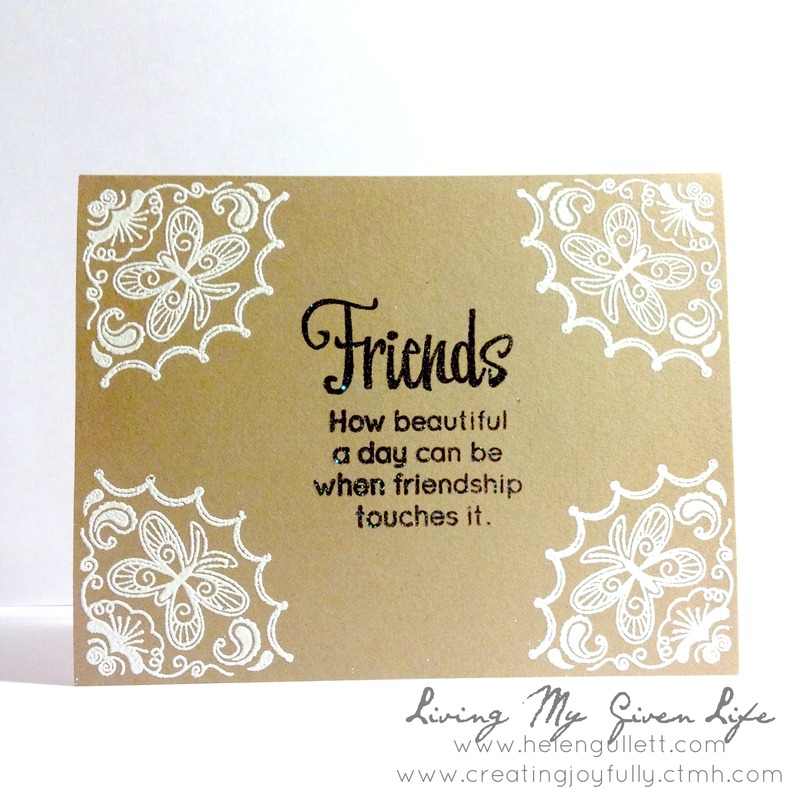 And the sentiment is from Beautiful Friendship that I stamped it with Gypsy Exclusive Inks Stamp Pad. The next 3 cards I create them using Kraft Cardstock. I stamped the corner doily from Beautiful Friendship and embossed them with White Embossing Powder and heated them with my Craft Heater. The sentiments are from Beautiful Friendship, Joyful Birthday and The Happy Couple. I stamped them with Black from Basics Exclusive Inks Mini Pigment Pad. The inside of the kraft card set I stamped one of the doily stamp from Beautiful Friendship with Cashmere Exclusive Inks Stamp Pad at the bottom corner White Daisy cardstock that I glued it inside as the place where people can write. The last card set I would like to share I created the background by stamping one of the arrows from Flights of the Arrows on the White Daisy cards with Black Exclusive Inks Stamp Pad. 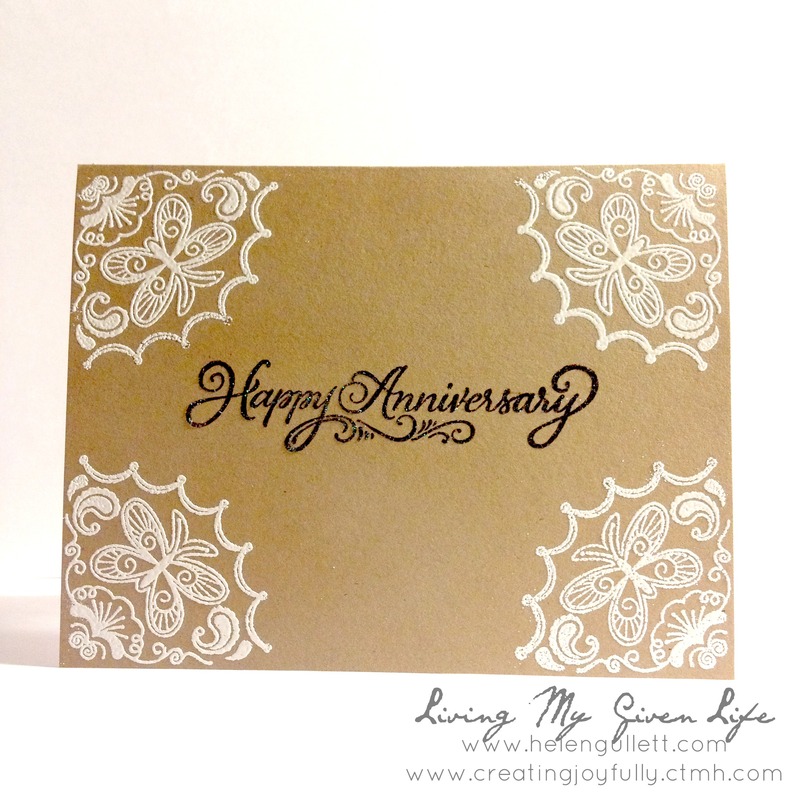 All the sentiments are from Banner Wishes set that stamped with Ruby Exclusive Inks Stamp Pad. I hope you like all my one layer cards today! I believe that you also can create pretty cards using this super easy technique 🙂 Your next hop is Andrea’s blog to go see her project that she wants to share with you! THANK YOU for stopping by! DON’T FORGET to check the Retiring List HERE! There are a lot of pretty stuff are going away, get them while you can! It is almost a week I haven’t posted anything and didn’t create anything because of all of us got sick since we got back from a road trip. First my husband, then my baby and I, and yesterday my oldest daughter had fever. We all caught the cold from whoever we made contact. But thankful that today everyone starts feeling better. It is a CAS and one layer card. I have a retired stamp set, Card Chatter – Sympathy from Close To My Heart for the sentiment that I stamped using Black Pigment Ink from Basic Pigment Ink Pad Set. And for the dots, they are from Hello Bloom set and I stamped them using Pear from Adventure Pigment Ink Pad Set and Chocolate from Basic Pigment Ink Pad Set. After I stamped them all, I heated to dry the ink quicker but you can let it air-dry too. THANKS fro stopping by today! Have a wonderful new week! I would like to share a card I made for a family. It is simple, one layer card. I am inspired by a card at Muse Challenge #54, the flowers bunch with watercolor effect. I combine with the repeating stamping technique from One-Layer Simplicity Challenge #2. 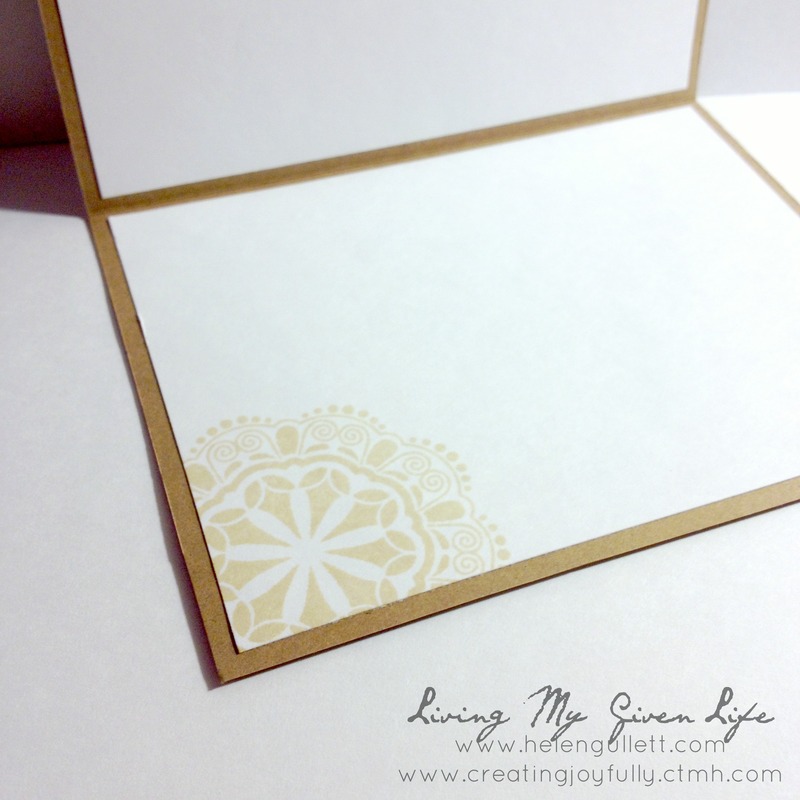 I cut a piece of white daisy cardstock to make the card base 4.25x 5.5 (A2). Then I stamped the flower image from Card Chatter set (retired) repeatedly with Black Pigment Ink and I dried it with Craft Heater (retired), or you can let it air-dry for a couple of minutes. Then I stamped the sentiment fromBanner Wishes set with Cotton Candy Exclusive Inks Stamp Pad. I used 1″ X 3 1/2″ My Acrylix™ Block the sentiment fit perfectly on that block. After the stamping process, I colored the flowers and leaves using American Craft color pencils and I added some glitter using Wink of Stella clear glitter brush. I added some black sparkles and punched one corner with corner rounder to finish the card.